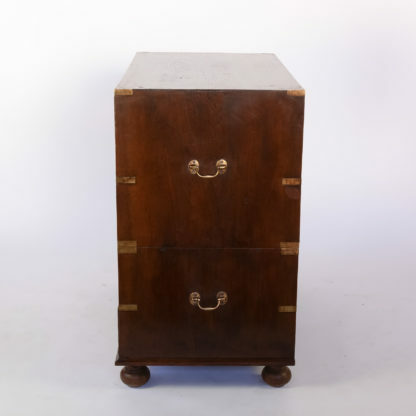 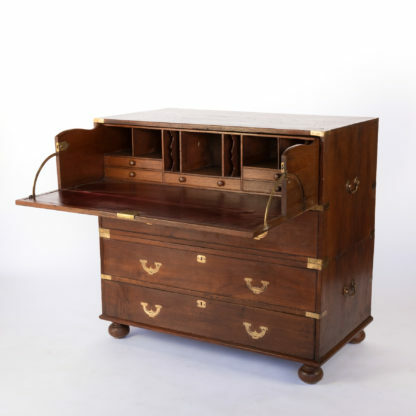 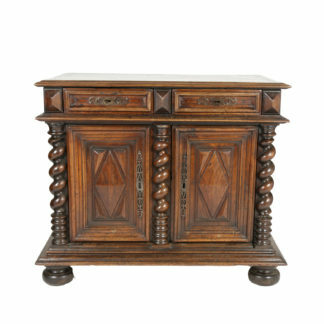 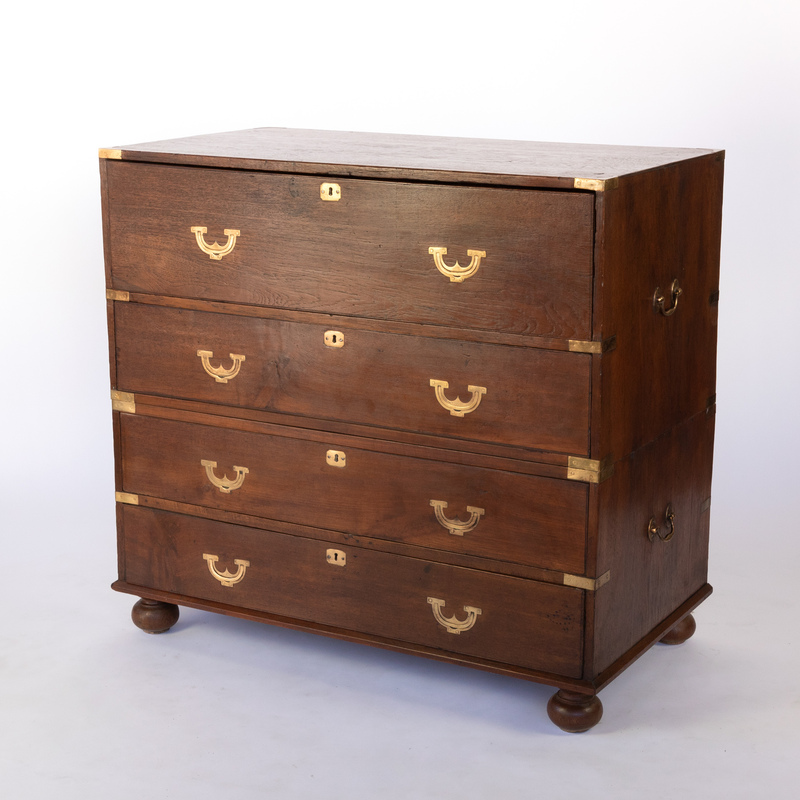 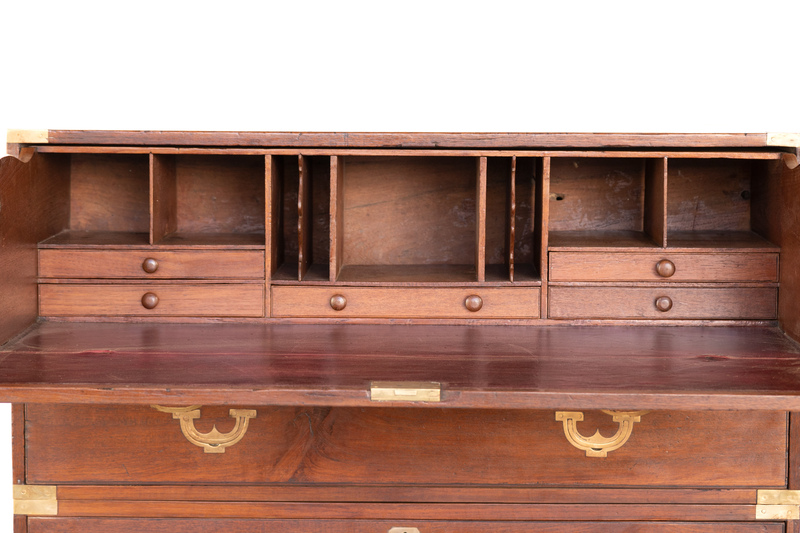 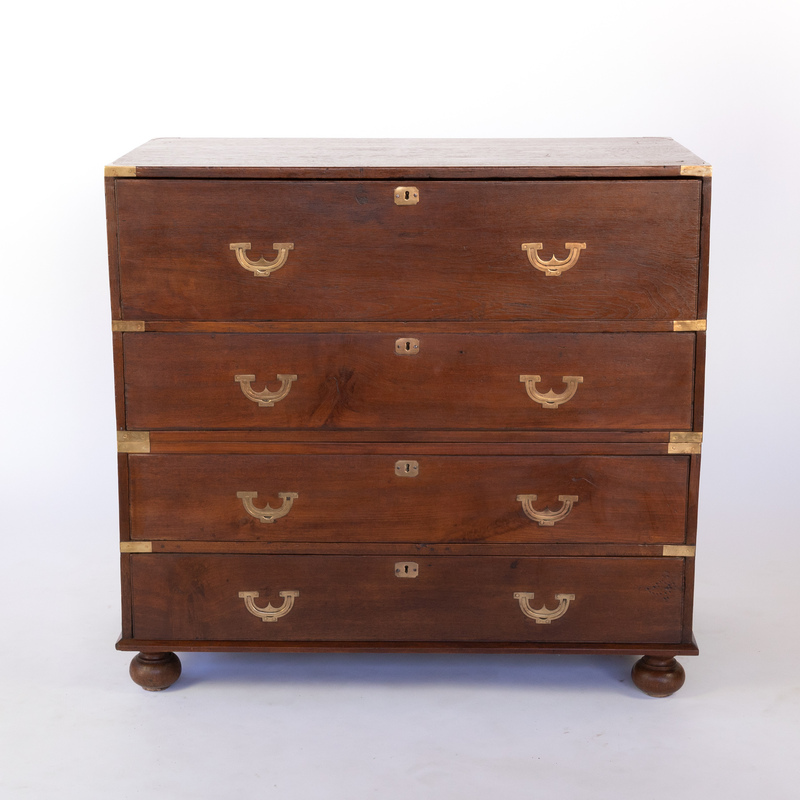 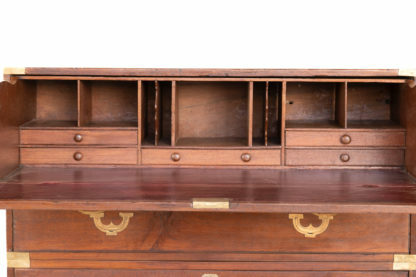 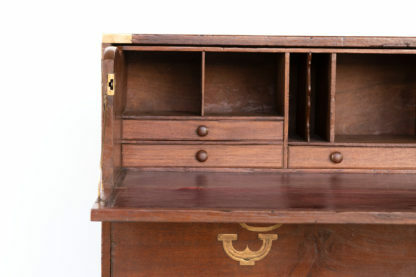 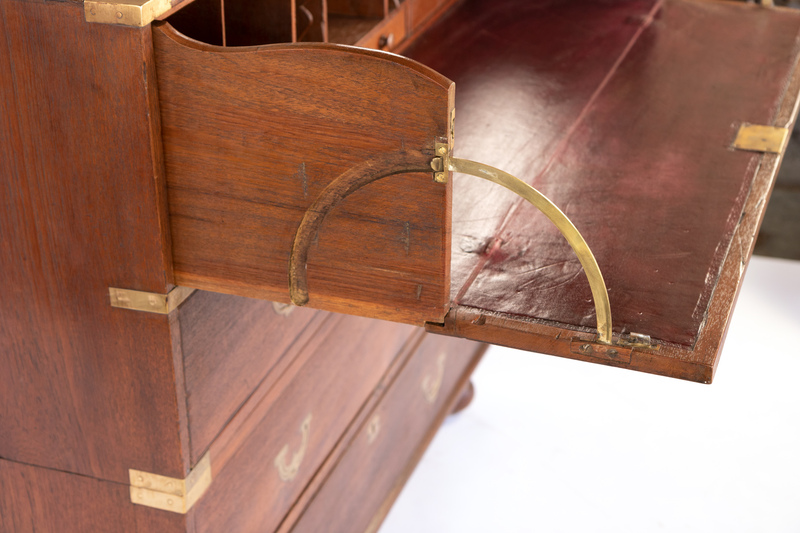 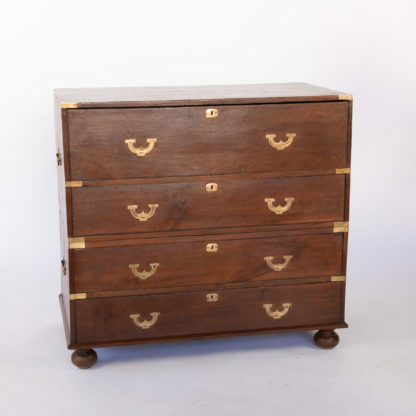 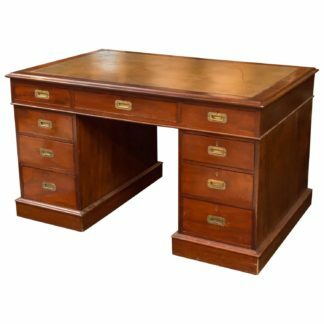 Home / Casegoods / Secretaire / Handsome Teak Secretaire Two-Part Campaign Chest With Ornate Flush Falling Brass Pulls, Inset Brass Supports; English Circa 1860.
height: 40 in. 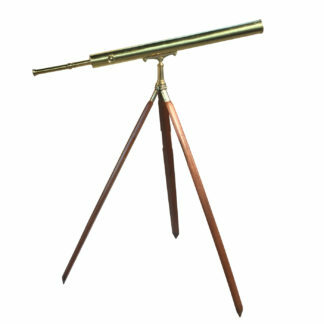 101.5 cm., width: 33 in. 84 cm., depth: 42 in. 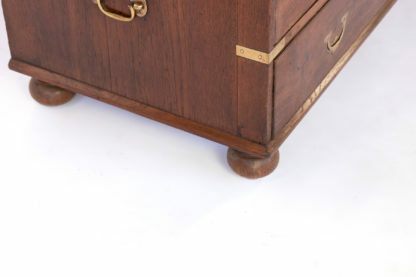 106.5 cm.